Alicia Souza: Ask Alicia: Where do I go from here? 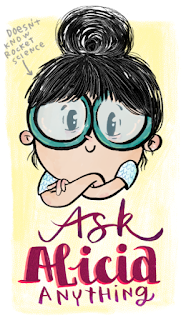 Ask Alicia: Where do I go from here? I am writing to you after gathering a lot of courage and explaining myself that it-is-alright-to-seek-help-from-unknown-people-who-are-best-in-their-field. I have been following your work for almost a year now. Its because of you I have got back to my hobby of "giving-faces-to-wordss-and-thoughts". Like every other commoner I lost touch with my hobby just to fit into the mainstream. Today I work with a reputed mnc and tagged as an IT professional. After spending four years in the industry, I am not happy with my work. Going to office doesn't excite me anymore. My enthusiasm to learn new technical skills seems to be dying everyday. I had come across one of your interviews where you mentioned that you left a well paying job with a very prestigious bank to pursue your heart. I know it takes a lot of courage to do something as brave as this. Somehow I am not able to find the courage to do so. I am unable to find my start point. Please please please help me and guide me. All I want to do is sit with my colors and my doodle book and that is what I want to call my "job". I am guessing that you would be getting such mails everyday. I would feel really lucky if you could share a piece of your mind with me and help me with my dilemma. I understand where you’re coming from and yes, I left the bank to start illustrating (though it was a part time job, and I was by then trained as a graphic designer) but I’ll explain the truth of the matter rather than romanticising it. Yes, I have to be honest, I got lucky too. I never in my wildest dreams, thought I’d have anything but a nine to five and something that I liked doing rather than loved. Life walked kind of in the opposite direction and I’m doing a 24 hour job (well only because it’s almost a lifestyle in a way!) and I cannot think of doing anything I’d rather do with my time! Having said that, yes, the plunge is the hardest but I remember at that time the main reason I took it was because I realised it was an opportunity I couldn’t see myself taking any other time in life. I remember thinking, if all goes horribly wrong, I can always get a job. But I can never try THIS! Fast forward to when I started freelancing. I knew only a handful of people and not a single freelancer. I really didn’t think I was going to make it and there were horrid days when I questioned if I was making the right choice. This is normal in the beginning especially when there are financial responsibilities and income is tight. But I realised one thing, no matter how it felt, I always thought of my work as a ‘job’ and that’s what, I believe, made the difference between me being an artist and me being a commercial illustrator. A job is something that you HAVE to see to the end, and do the best you can do. A job is something that someone pays you for, so it has to be useful to THEM. Ofcourse, the joy is in enjoying the process but if you don’t make your client happy, you’ve done a bad ‘job’ and that’s also the difference between drawing for a hobby and drawing for a job. 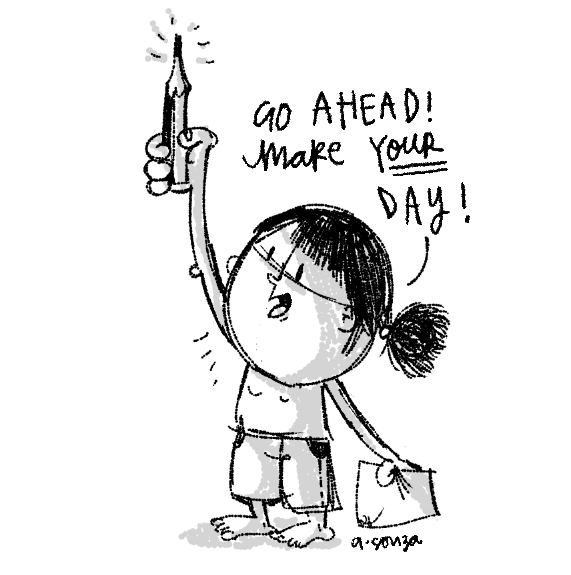 I think realising that it’s not going to be doodling all day is also definitely worth a thought. 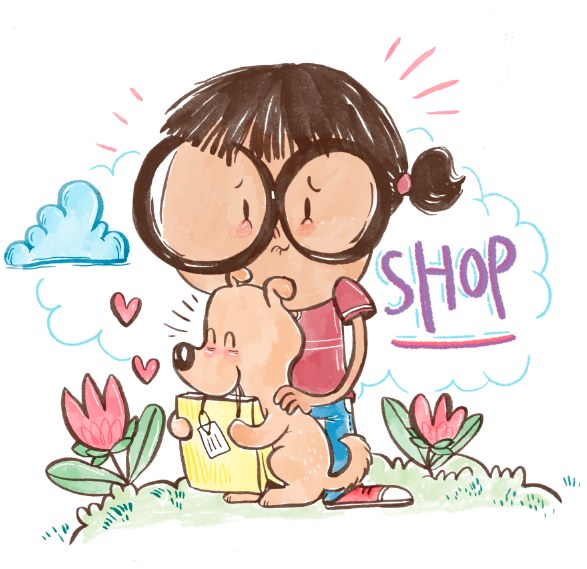 Infact, i don’t draw as much as I mail, research, talk to clients, do my accounts, schedule and plan. 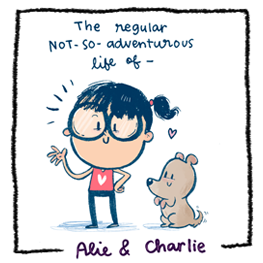 But that’s because I’m a freelancing illustrator. If you want to just draw (and ofcourse research etc. ), you can join an agency/ design studio/ publishing house as an illustrator and that’s fine too. It all depends on what you feel suits you and your working style. I LOVE working independently, I’m really organised and don’t really get distracted when I get down to work, so freelancing works for me entirely. Lastly, is knowing what you’re offering. When you have a portfolio, you need to show your client or where ever you’re applying to, what you can offer. How can your drawings be useful in a project? Are you knowledgable in at least the basics of print and editing? It will be hard for an agency or a client to hire you based on drawings done on a notepad while you were talking on the phone, no matter how enjoyable it was to you. I like to think of a brief as a collaboration between many minds for one objective. It’s an illustration, working with copy for a brand. Or an illustration working with a story for a book. There’s always a purpose. Anyway, lastly, if you feel like this field you’re in isn’t for you, then just quit. You have too many beautiful years ahead to be unhappy in something you’ve spent only a few years doing. But never regret it and use the experience. If you want to get into illustration and have no idea where to begin, maybe take a course just to learn the basics of design and print. If you already know the basics and want a less risky route, perhaps start taking jobs on the side. Maybe your friend’s friend wants a wedding invitation done or someone needs something for their website. Start there and see how it feels working for a ‘client’. And lastly, regardless of where life takes you, just draw. Never stop and it will be your happy place! All the best Preeti and a special hug for you for the courage to go forth!